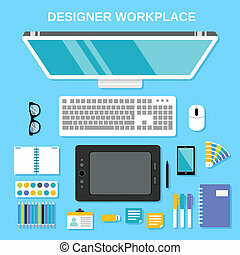 Designer management workplace. 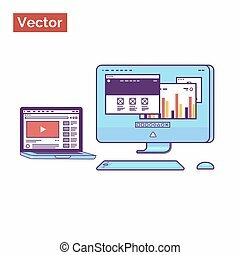 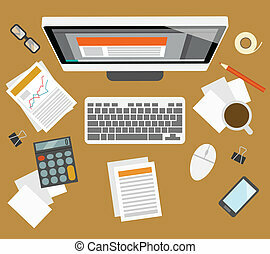 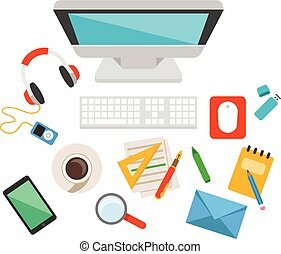 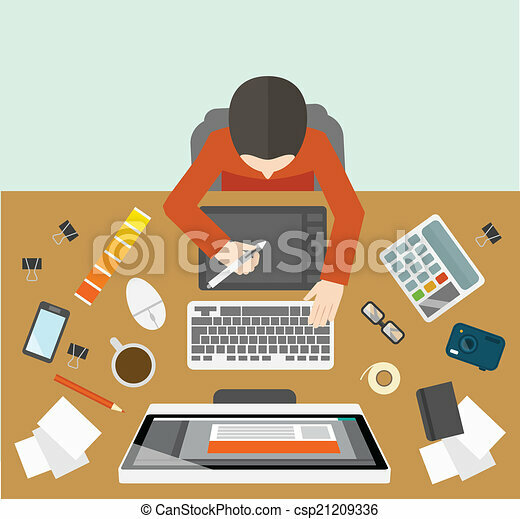 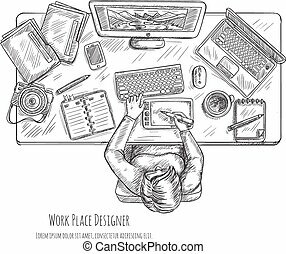 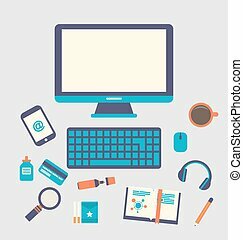 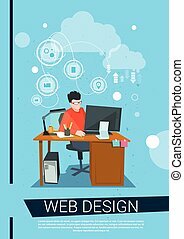 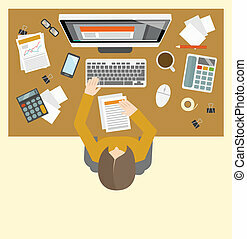 Office business designer management workplace with male on the computer vector illustration. 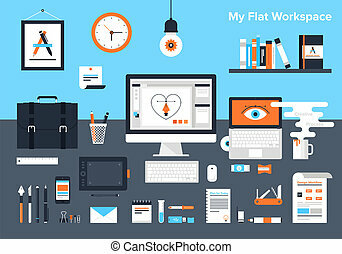 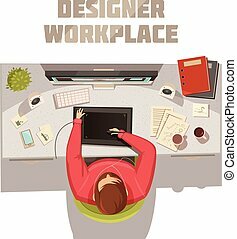 Flat vector illustration of designer's workplace. 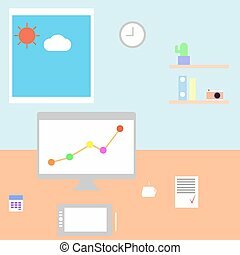 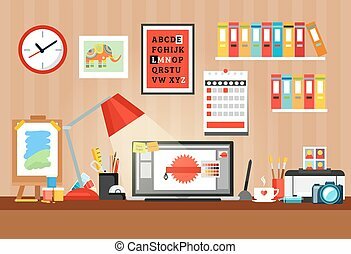 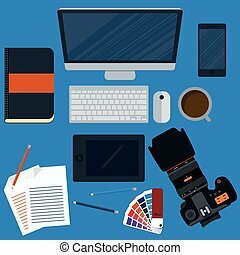 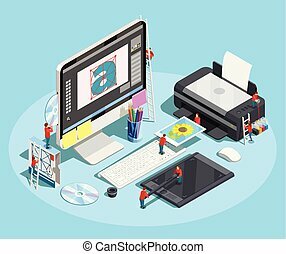 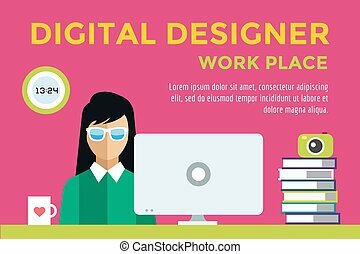 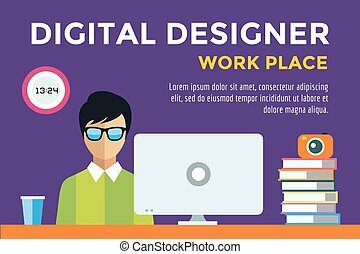 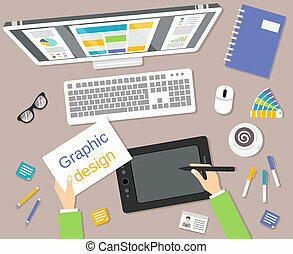 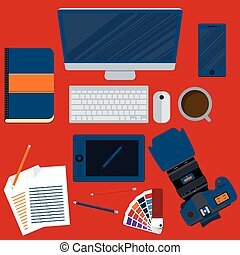 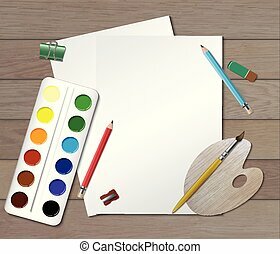 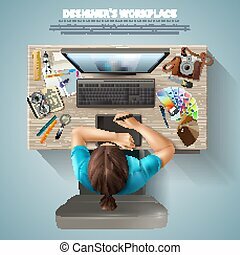 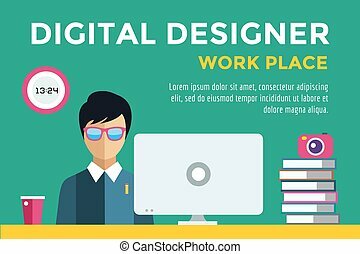 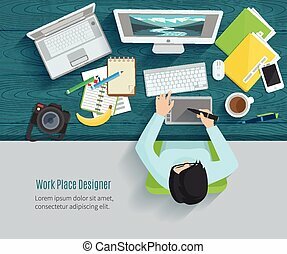 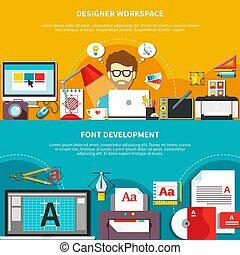 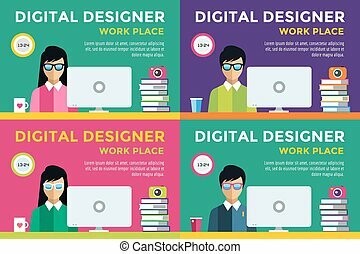 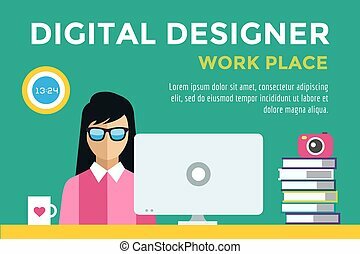 Graphic designer workplace banner, flat vector illustration.